You've been a apart of my life now for a good few years. We've had our highs and some really bad lows, but I'd like to say I've come out on top. Throughout 2016, I've gone to levels I'd never thought I would, accomplishing things only a year or so ago, that I didn't think were possible. From not being able to walk to my local shopping centre on my own, to now travelling alone to a new country and thriving on seeing different locations, we've come far don't you think? I have to admit, this wasn't easy. Till this day, you still like to creep up on me every now and then. Whether it's a morning at work leaving me with excessive, negative thoughts and panic attack at the ready or over the course of a few days to weeks, through uncontrollable crying. It's an up and down battle. However, today I'm not here to focus on the times you've taken from me but those triumphant moments I have conquered. Remember when I was dreading leaving the house on your own? Safe to say I've overcame that. Not only do I feel comfortable walking somewhere by myself, but I've travelled to Brighton by train alone and even flew to a different country! What about anxiety preventing me from going on a night out with friends? At times it still gets to me, yet ultimately, I'm able to dress up, go to a party or for drinks and fully enjoy myself. Let's not forget tight spaces that use to trigger my panic attacks. I'm now able to get on London tubes with ease and even thrive on the bustling excitement the city brings. I was capable to walk up Cologne cathedral, those 500 steps closed in the tightest of spaces. I've visited packed out clubs, shopping centres and train stations yet remained fully calm. Slowly but surely, I have overcome the main triggers that brought you on and prevented me from doing big things. I say yes to way more opportunities, events, meeting new people and travelling to new destinations. Instead of being scared of seeing a new location, the thought makes me jump with excitement! I used to have a major fear of flying with you being your highest on a plane, yet flying 5 times this year, I now love nothing more than soaring in the sky, knowing I'll land, ready for my next exploration. That trapped feeling I used to have, doesn't spring on me during flights or tubes. I allow excitement to overtake and focus on my breathing. I will not let you be in charge anymore. It's been a roller coaster of a year with you. The low moments sucked, but I've pulled myself through and came up on top. For the next year and as time goes on, I'm determined to fully beat you. To be free of you forever, living each day as it comes, without the worry or overwhelming emotion creeping up on me. I aim to move forward, continuing the positive thinking and being the best person I can. Even though at times you were suffocating and I've been at my lowest, I'm determined to keep going, pushing though and keeping strong. After all the unforgettable things I've done in 2016, I want to continue pursuing even more adventures, opportunities and embracing the beauty that life is. I will win this battle. 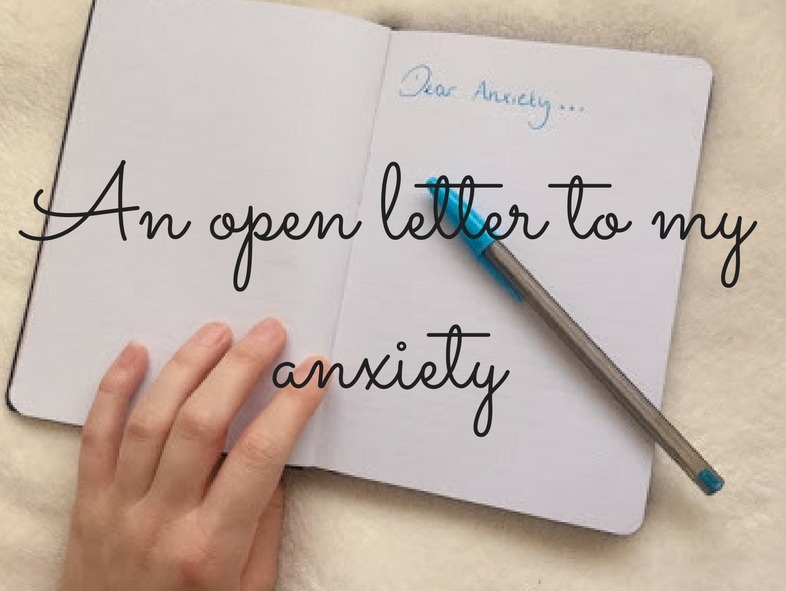 For more articles on anxiety, check out my tips or travel anxiety post. Well done. It's good to focus on what you have achieved instead of dwelling on the obstacles. I want to comment on this on Sunday, but I'm so proud of you!! I've just over came the same thing, I feel comfortable walking on my own and I'm so proud of myself!! Good job for going to Brighton!! 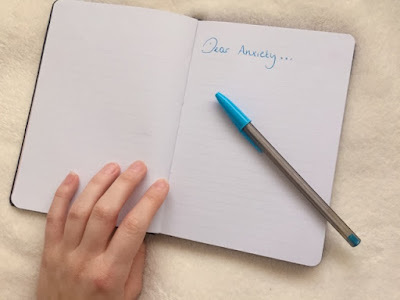 I love this post, you should be proud of how far you've come in battling with your anxiety. Great post. Loved reading this. You're so inspiring. Keep going! Ahhhh I love reading posts like this. So beautiful, I'm happy I got the chance to read this. Very inspiring. Such an inspiring post. So happy to hear that you've overcome most of your anxiety and have managed to go on to do so many cool things. Best of luck with everything in the future.